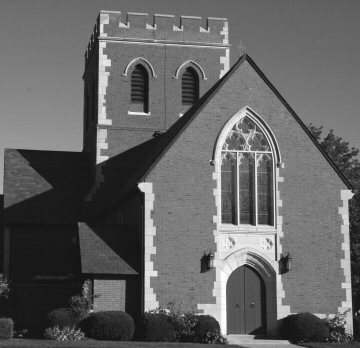 This is the Emmanuel Memorial Episcopal Church located in downtown Champaign, Illinois. Very nice picture for black and white, really shows off the shadows and form of this church. It is a little low in contrast and more adjustment of the levels by making the highlights lighter and the shadows a bit darker might have really made this picture stand out in black and white. To make your shots bigger read in DPC under the tutorials how to prepare your photos for dpchallenge using photoshop. I like the subject and the angle of this shot. I am sure you have heard alreay but this is a very small photo. The crop seems a bit tight. This would have benefitted from being a larger size. the detail and contrast is mostly lost at this smaller size. There are many detailed and interesting crops available on this building, but taking it as a whole, I think those points of interest are lost. The expansive brick face isn't inherently interesting to look at, yet it commands a significant amount of the frame. The same could be said for the sky. I'd go for an angle that accentuates the main door and window above it, leaving out the distracting elements. Proudly hosted by Sargasso Networks. Current Server Time: 04/25/2019 10:16:16 AM EDT.